A mountain lion stalked Eric Byrnes during the 2016 Western States Endurance Run. Somewhere around mile 55 of the 100-mile course, the 11-year Major League Baseball outfielder and former Oakland Athletic fled from the big cat. This was immediately before Byrnes, then 40, ran past a pack of trailside photographers situated squarely in the middle of nowhere (Michigan Bluff, California, population 672) to capture his sweaty face, and just before he saw an orangutan hanging between two pines in the Sierra Nevada’s foothills. Byrnes, a little better than halfway through the legendary June footrace that stretches from Squaw Valley to Auburn, had begun to hallucinate. A tied-off sanitary sock full of ice hung from his neck for cooling purposes. As it melted, it slapped against his neck and shoulders, creating a rhythmic noise that bounced off the canyon walls as he ran downhill. Byrnes mistook the echo first for a competitor, then for North America’s biggest predatory cat. How to explain the non-existent photographers and the monkey? “Maybe he hadn’t seen another person for a couple hours and he was losing it a little bit,” says Myles Smythe, a partner in Sierra Studio Films and a Michigan Bluff–based videographer and photographer. Byrnes hired Smythe shortly before the event to document his race; the footage would eventually become 2016’s Diamond to the Rough. Smythe, a former competitor himself in the Western States race, knew what Byrnes was experiencing. By then, Byrnes had a new running partner to help him focus and finish the race: former Tour de France champion Lance Armstrong, who paced Byrnes down hills, through the dark and into streams from miles 60 to 80. The former baseball player went on to finish in 73rd place—353 runners started at Squaw, with 280 finishing in Auburn. It was the ninth long-distance endurance race Byrnes had finished to that point, five years after finishing his first IRONMAN long-distance triathlon in Arizona and six years after calling it quits on his professional baseball career. The transition from a fast-twitch, explosive sport like baseball to the long, grinding miles of an endurance career make Byrnes a novel addition to the sport. After his career ended in 2010, a group of middle school friends talked him into a sprint triathlon in Pebble Beach. He competed in a pair of board shorts, with a borrowed mountain bike, but was hooked. 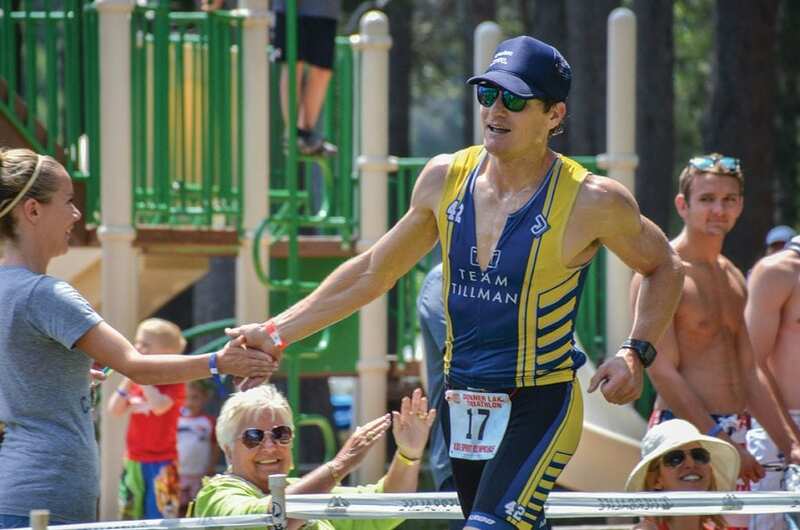 Eleven months later, in November of 2011, he was on a top-flight racing bike and competing in the first of eight IRONMAN triathlons he’d finish over the next four years. To take on the physical challenge, Byrnes changed his body. 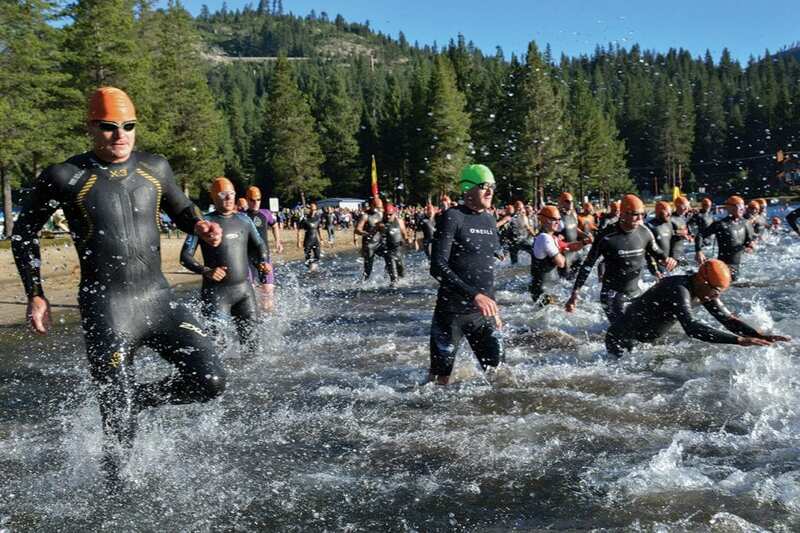 Byrnes had been a fast-twitch athlete not only on land, but in water, where long, lap-based or open-water swimming workouts are a key to getting into triathlon shape. A Bay Area native from Redwood City, Byrnes was comfortable enough in the water as a surfer, but taking on long distances was a totally different beast. For training, he turned to renowned swimming and triathlon coach Frank Sole in Scottsdale, Arizona. His workout regimen switched from weight training—a staple of his preparation when he played baseball in high school and later at UCLA—to laps in the pool, hours on the bike and training runs. While his body and workouts had to change to accommodate the new sports, he retained some of his tics and the drive, Smythe says. “His strides are very unique. 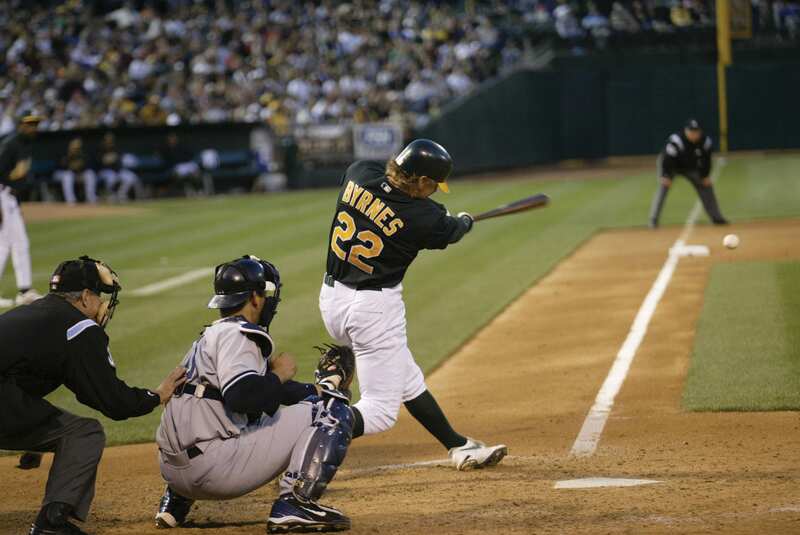 It reminds me of a baseball player stealing second from first,” Smythe says. “He kind of high-steps. That stands out. Watching Byrnes wipe dirt from his race-day tank top during Western States in Diamond to the Rough might be the image that most evokes Byrnes’ previous career as a baseball player, where watching him slide into a base—safe more than not—was a familiar sight for fans. Part of that embrace means the Byrnes family—Eric and wife Tarah have three children under 8 years old—spends time where they can play and participate in outdoor activities, namely, Tahoe. The couple built a home in Truckee’s Martis Camp in 2014 and recently have spent most of their time there. In the summer, Byrnes dives headfirst into life in the mountains by working on the trail-building crew for Western States, the trail supporting the race he openly adores. In winter, Byrnes—who has been coming to The Lake since he was 2—skis Northstar with his children, the same mountain on which he learned to ski when he was growing up. 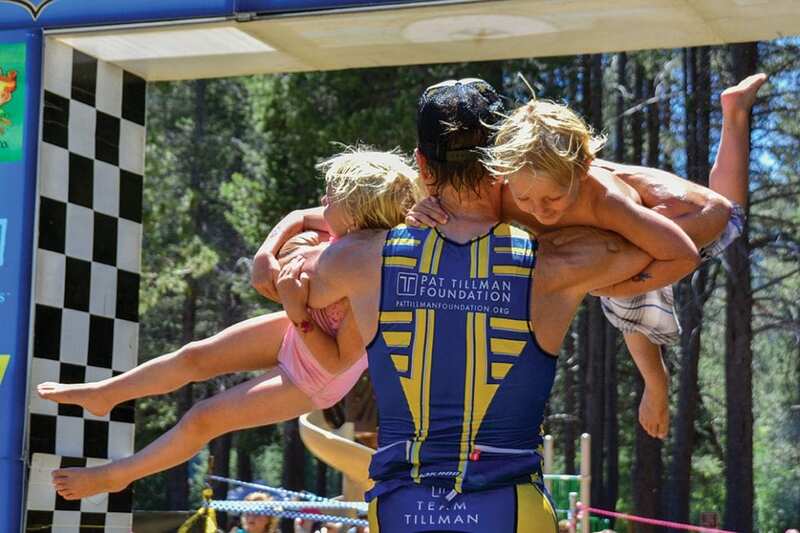 His kids are a huge part of his life and one of the reasons he found the motivation to complete Western States through the searing heat and hallucinations. 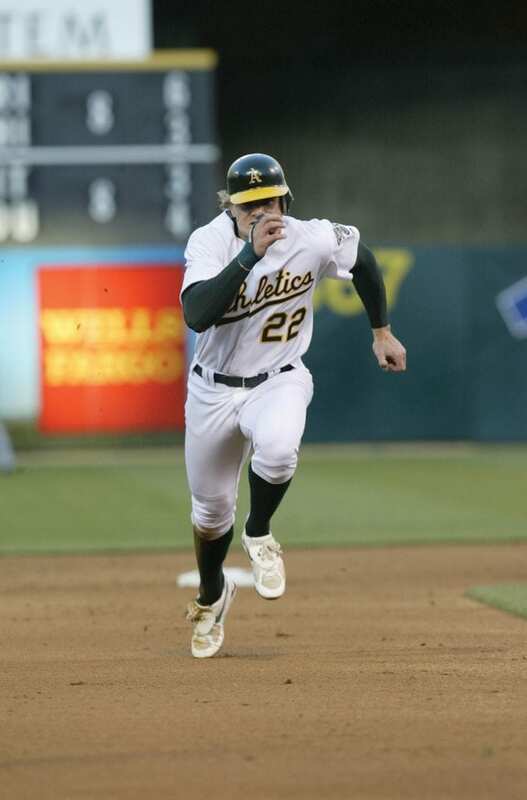 The competitor they know is the distance runner, the swimmer, the biker—not the guy in the dirty A’s jersey. “They know Daddy is the guy who goes on long runs,” Byrnes says. 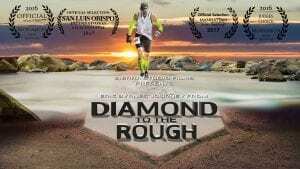 Showcasing his work ethic for them was important to him, and that desire serves up a tear-jerking moment in the Diamond documentary. Choking back tears, Byrnes recalls how his daughter Cali, 5, turned to her father after he crossed the finish line in Auburn and told him that she’d run 100 miles when she turned 40, too. Kyle Magin is a San Diego-based writer and editor. He is a former editor of Tahoe Quarterly. What: A documentary on the 2016 Western States Endurance Run and finisher Eric Byrnes. Who: Starring former Major League Baseball player Eric Byrnes. Appearances by Lance Armstrong and former Miss California Tarah Byrnes. Filmed and directed by Myles Smythe of Sierra Studio Films. Where: Rental or purchase here. Behind the Scenes: Byrnes reached out to Smythe through a mutual friend with three weeks to go before the 2016 race. “At first I thought it was just going to be a glorified home video for me. Some comedy, some graba**, I thought it would be funny,” Byrnes says. Smythe, a 2012 Western States participant, had filmed a Western States documentary, This Is Your Day, in 2015 and thought the subject matter well-trod ground, but says Byrnes’ enthusiasm and the players in the project roped him in. Switching between race-day footage and interviews shot at the Byrnes’ Truckee home before and after the race, Smythe weaves a fascinating tale of the hardball player-turned-endurance athlete.